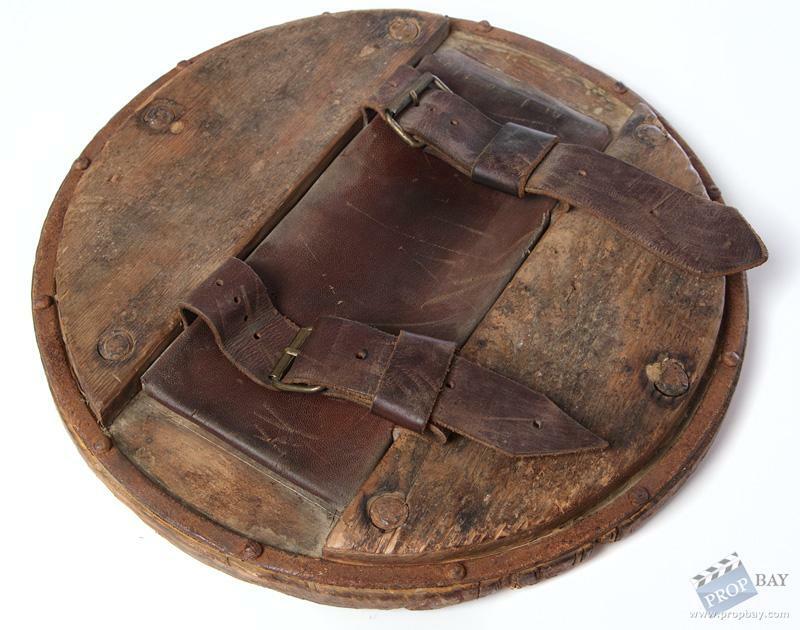 Screen used wooden gladiator traing shield and rubber dagger seen in multiple episodes of Spartacus: Blood and Sand. 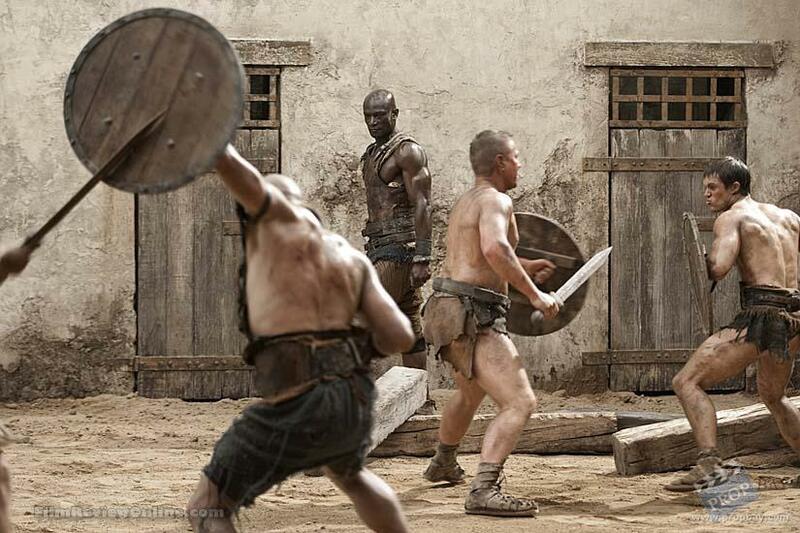 This type of prop weaponry was used during the gladiator training scenes. 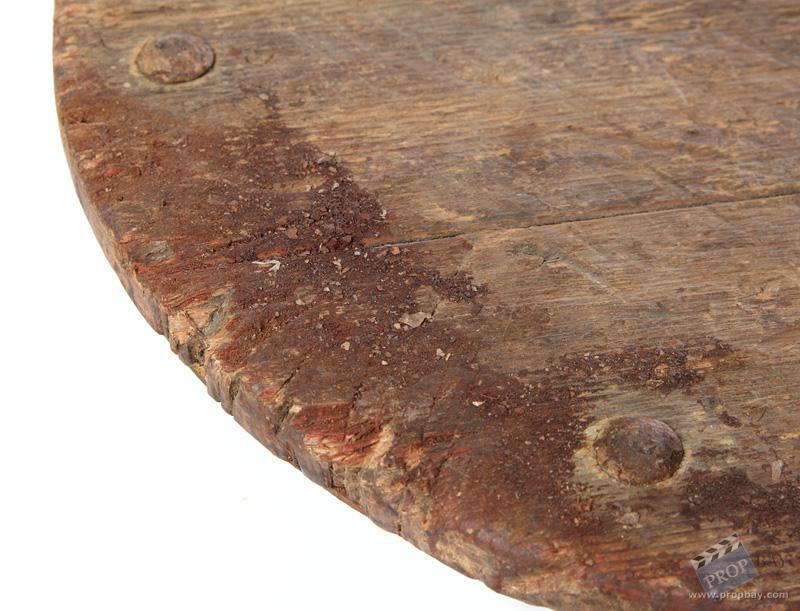 This version has dried prop blood and sand encrusted on the edges and shows some wear from usage. 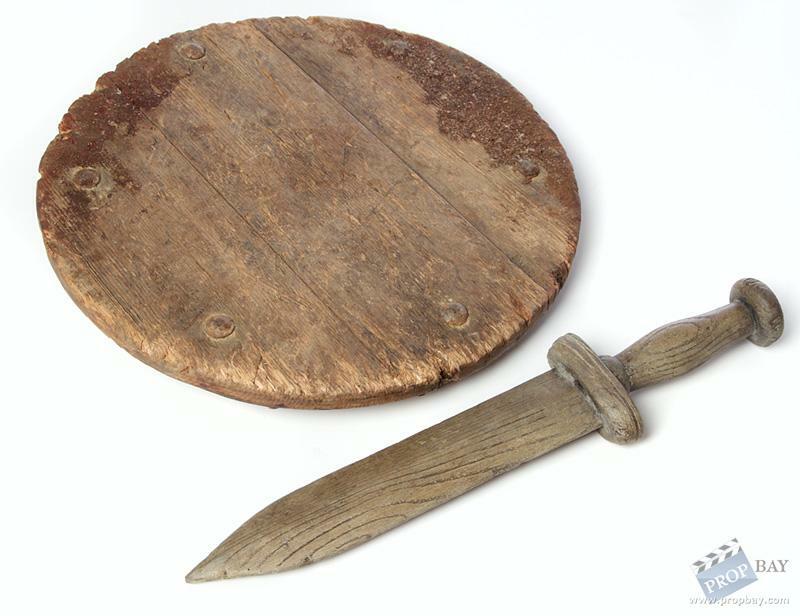 Sheild is approximately 14 in in diameter and the dagger is approximately 15.5 in long. Added: 05-31-2013 - Viewed: 3280 times.